In the winter time especially, my family uses garlic for it's medicinal purposes. If you didn't know garlic has many benefits. Studies have shown that a garlic enriched diet may in fact protect people against different cancers, such as breast, prostate and colon cancer. SubhanAllah! Allah has given us many foods and herbs, and we can either treat our foods like medicine and make good use of it, for the sake of our lives and out family's lives. Food, however can also act as a poison and we are often heedless of what we eat and how we eat. As a breastfeeding mom I have read that babies who taste garlic in the milk, tend to nurse for a longer period of time. When my recent son was born a couple weeks ago, I wanted to make sure that our breastfeeding experience from the beginning would be nutritionally packed and done properly. Wanting to know different foods that would help increase milk, I ran into an article mentioning garlic and talked to people who have tried it. My husband made me a drink that was infused with garlic and yes I can say it is tried and true. Longer nursing helps with the increase in milk supply. 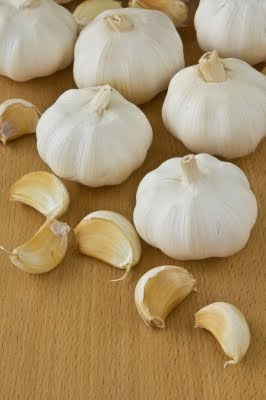 If you happen to have a newborn baby or a slightly older child that you are breastfeeding and they get sick with cold , you would want to intake more immune boosting foods like garlic. With older children, blending garlic and adding it in foods helps. With my older children I make, what I like to call an “Immune Boosting Spaghetti” especially in the winter. We add blended garlic, vegetables and flax seed/ wheat germ and put it in the sauce. The children enjoy it and do not notice they are eating a very immune boosting dish, Alhamdulilah. Besides garlic being a means to possibly prevent cancer and helps to boost the immune system, it also has anti-fungal properties which studies have shown helps to prevent or eliminate yeast infection. Also studies have shown it helps with the well being of the heart and promotes healthy blood circulation. 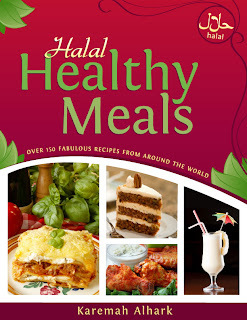 Alhamdulilah for the blessings in having a healthy halal and delicious food. 1. 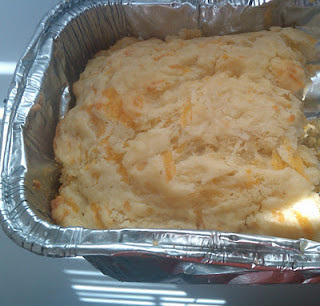 Mix together the flour, sugar, garlic powder and cheese in a large mixing bowl. 2. Whisk together the vegetable oil with the milk and egg. 3. Stir the wet mix into the dry ingredients. 4. Pour the mix into a greased 1lb loaf pan. Alhamdulilah garlic bread is good with spaghetti, lasagna, and as a snack. The children love to eat it for lunch, I have to stop them before its all gone! Garlic is something every family should have in their home. I really prefer the garlic cloves instead of the powder, Alhamdulilah I think you can taste it more in your foods. Plus its fresh! The next time you go grocery shopping dont forget the fresh garlic. Your body will thank you for it! 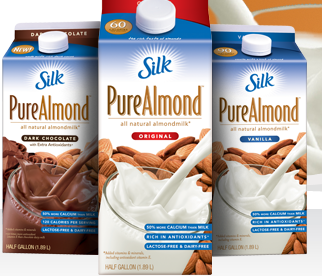 A couple of weeks ago, I featured almond milk products as an alternative for cow dairy products. Today I'd like to present goat dairy products as a nutritious alternative for those who find cow's dairy to be difficult to digest. I became familiar with goat dairy, approximately twelve years ago when my son Musa began having seizures. That period of time was very interesting for me, as it lead me on a quest for healing foods and improved eating habits. A homeopath told me to give my son lots of "good" fats as it would help to repair the brain trauma that seizures caused. Musa at that time was not only having problems with seizures, but he was very susceptible to respiratory infections as he had experienced a very frightening case pneumonia. All of this and he wasn't even 5 years of age. He was a pretty sickly little kid. However after my visit with the homeopath, and reading a few books, (The Ketogenic Diet, and Nutrition and Physical Degeneration) Musa was on the way to improved health. One of the first things I discovered that I had someone who lived very close to me that was willing to sell their extra milk and I rapidly became her regular customer. The fat molecules in goats milk are said to be a lot smaller than those of cow's milk, which in turn makes it a lot easier to digest. Many people who are intolerant of lactose, or milk protein find goats milk to be easier to consume. Some rationalize that a goat is closer to the size (weight) of human beings than cows, so it makes sense to drink from goats and sheep, rather than bovine animals. All theory and speculation aside, for me and my family we saw a huge difference when we laid off of the pastuerized cow dairy and switched to raw goat's milk. We experienced a drastic decline in colds and illness. We were considerably healthier over all. Less colds and illness meant a happier more energetic household. Ofcourse this was not due adding goat's milk exclusively. We changed our diet in other ways as well. But this, I believe was definitely one of the most important changes that we made; right up there with drastically reducing our gluten intake. Once I tasted goats milk I was in love it, and it quickly became a household staple. Quite honestly I prefer the flavor of good goat's milk to many of the other cow dairy alternatives, however it's just so hard to find a local raw milk supplier these days. Most of the farms that I used to purchase from have given up all but enough goats to supply milk for their own families. Many have said the cost to keep the goats is just too high. I have recently rediscovered my love for goat's milk, however I've been drinking the pastuerized milk products from a local health food chain. Inshallah I intend to give a call again to see if I can find another raw milk source, soon. I just prefer it because the raw milk still has the active enzymes intact, which allows the dairy to be even more digestible. However the main brand of goat's milk that I have presented in this blog is Redwood Hill Farm. As I mentioned, previously I only drank raw goats milk and I would recommend you to purchase this if you can find a reliable and trustworthy source. You don't just buy raw goat's milk from anybody however. It needs to be purchased from a reputable, clean and healthy farm. But if you can not fnd a good source of raw milk or if it is illegal to purchase and sell raw milk in your state then this company is good. The milk has a wonderful taste and it's not "goaty" tasting. Redwood Hill sells goat's milk, keifer and yogurt. The yogurt I found to be pretty pricy at $2.19 per 8oz. cup, so I only purchase that as an occasional treat. The yogurt is very flavorful and not bland at all. I also enjoy the keifer in smoothies or plain. I have several companies that I purchase my goat cheese from and there are many types to choose from. I find Trader Joe's to be one of the best suppliers of goat cheese and they have many varieties. Their prices are very reasonable compared to some of the other stores in my area. Goat dairy still may not be an alternative for those who are severely lactose intolerant. However for those who are only slightly dairy sensitive, goat's milk can be a wonderful alternative which neither sacrifices nutrition, variety, nor flavor. Sugar Free, Gluten Free Berry Crisp! Everyone who knows me, knows that I love to bake. I dont care what diet I'm on, I have to have some kind of outlet for baking. Even if it's just occasionally. So when I decided to get on the Eat Right for Your Type Diet, I decided to try some gluten free, sugar free recipes. This one I actually just made up out of my head and it turned out very tasty. I went through my little list of beneficial foods for my "type" and then went to work in the kitchen.. I decided to make a berry crisp and this is how the recipe goes. 1/3 cup of buckwheat flour. Sit berries out to thaw if using frozen fruit. Preheat oven to 350 degrees farenheit. Pour most of the cran-apple juice out into a medium sized mixing bowl. With the remaining juice add and dissolve the cornstarch. Stir this up and add it to the juice. Now add your honey and cinnamon, stir, and pour into a small-med sized pyrex baking dish. Now in a small bowl mix (with a fork) the buckwheat, oats and shortening of choice until crumbly. Then sprinkle crumbs over the top of the berry filling. Place pan into the heated oven and bake for 45 mins or until berry filling has thickened and crumb topping is baked well. Serve alone or with rice or other non-dairy ice cream. Gluten, Dairy and Tomato Free Pizza! So I came up with the thought to make this pizza after I went to the iridologist, and he told me that I needed to follow the Eat Right for Your Type diet. Now with me, when I'm gung ho about something I have to jump in with both feet. That Sunday however, my sister was having everyone over for homemade pizza. (Gasp) one of my all time favorites. So I rushed to the internet to check to see if I could find some good Type A recipes. After of few minutes of research I found a few recipes that would enable me to make a complete pizza. Type A's do not digest tomatoes, cow dairy, or wheat very well. This is going to be some interesting pizza, I thought. I was excited to make it because trying new concoctions motivates me to get in the kitchen and work out. Following is the recipe for the gluten free crust, and the no tomato tomato sauce that made this pizza a one of a kind hit! Dissolve honey and yeast in warm water in a large mixing bowl. When yeast begins to activate (about 10 minutes later), add oil and salt and slowly add oat flour and mix well. When a ball forms knead for about 10 minutes until its no longer sticky (adding flour if needed). This next part I use the big board with the handle that you use to remove pizza from the oven. Lightly sprinkle ground flaxseed over the board to prevent the dough from sticking, and gently roll out dough into a thin shape that accomodates your baking pan, shaking the board every few rolls to make sure dough isn't sticking. After you've rolled out the dough, place it and shape it in your backing pan. Place it in the oven and bake it for five minutes. In the meantime, you can start making the sauce. Brown onion & garlic together. 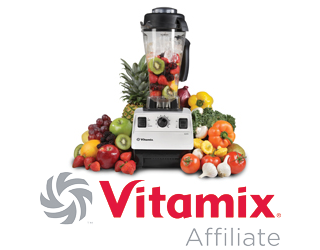 Measure all ingredients into a blender and blend until smooth. Almond cheese, mushrooms, onions, spinach, peppers etc., and bake at 450 degrees for 10-15 minute or until both the crust is cooked and the cheese is melted well. Allow to properly cool and enjoy! To wrap up my reports on almond "dairy", I'd like to do a review on almond cheese. This is actually the first time that I've ever eaten almond cheese. I figured however, that since I've blogged about almond yogurt and almond milk a post on almond cheese would make the series complete. Surprisingly enough, I found the almond cheese to be "not too bad." Since it was in the mozzarella style, which is fairly bland anyway, the almond mozzarella wasn't far off from the real thing. Almond mozzarella cheese was close to passing my taste test as being a satisfactory alternative to cow dairy cheese. The real test however would come later on in the evening when I would make my all natural, gluten free, tomato free, meat free and dairy free pizza. Yes I went into the kitchen to make my ultimate pizza, and I wanted to see how this almond "cheese" would fair with the melting test. Once I made my pizza I discovered that the almond cheese did melt. However, dont expect the ozzey gooey type of melting that you'd expect from regular mozzarella cheese. This cheese is far less melty than that. I believe however that this cheese will serve as a decent alternative for mozzarella made from cow dairy. Almond cheese does pass the test! If you are interested in trying almond cheese stay tuned to my blog, and I'll post a nice pizza recipe later on this week! You know, recently I've been out and about trying new foods to help me along with my new diet. I went to visit the iridologist last week and he gave me an interesting overview of my health based on viewing my blood and looking into my eyes. If you can get up some money to visit an iridologist, I'd highly recommend it. So interestingly enough, he referred me to the Eat Right for Your Type diet, by D'adamo, which I was highly familiar with already. That was one of the first diets that I've ever really tried to follow, and I do remember liking the results that I got from that diet, however for some reason I didn't stick with it beyond a year. Probably because of the expense. I followed a few more diets later on in life to include Atkins, which and initially got good weight loss results with, but never felt quite natural eating so much meat. Now I'm returning to my roots. For my blood type (A) I'm encouraged to follow a much more vegetarian type diet, which is cool because I felt that I was headed in that direction any way. I had already implemented my live food only Fridays and vegetarian night on Thursday. My body felt as though it was calling for less meat. 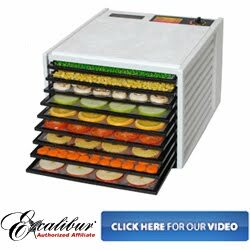 For those of you who are also suffering from allergens or have special diets, I will be trying some interesting new products and recipes and I'm sure that many of you will be able to put my reviews and article to good use. This weeks feature is dairy alternative. Yes dairy is something that I have to greatly reduce in my diet. As an African American woman and a person who has type A blood, I have to limit my dairy. Now quite honestly that's a bit of a switch because I love yogurt and cheese. Milk I don't really drink anyway, as I switched over to almond milk years ago. The product being featured here is almond milk yogurt. The almond milk has been cultured to provide you an alternative to dairy milk yogurt. The price wasn't too bad at $1.49 here in a San Diego health food chain called Sprouts. (Formerly known as Henry's) The flavor is a little different than what most are used to for yogurt. I'd say that it is an acquired taste and may take some getting used to. However, I could get used to it as it is not a "bad" taste. Almond yogurt is healthy for you not only because of the high calcium content of almonds, but also because you get the benefits of the probiotics that are present in yogurt, without the allergic reactions that cow's milk tends to cause. Overall I'd say that the Amande (cultured yogurt) was worth the try. The flavor was a bit bland, but a substitute that is worth trying if you are highly allergic to dairy but desire to eat yogurt. Try the raspberry flavor, I like that one the best.